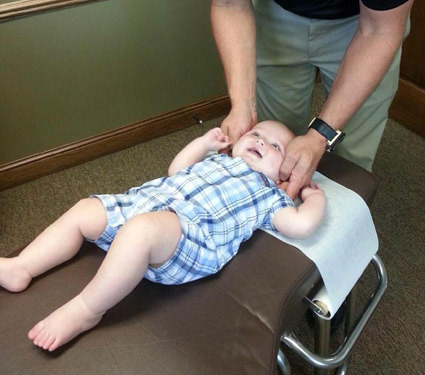 As a chiropractor, Dr. Wild’s focus is on the detection and correction of vertebral subluxations, which are what occurs when one of the vertebrae of your spine is out of place. This misalignment causes nerve irritation, which shows up in the body as pain, often shooting into the arms, legs and feet. The interference can be removed from this nerve with chiropractic care, gently restoring your spinal vertebrae to their proper position and restoring your function. Stress is ever-present in our world today. When the body feels these pressures, the sympathetic nervous system is activated, which releases cortisol. This hormone is responsible for many chronic problems that we experience. Chiropractic care can decrease the sympathetic nervous system response, increasing your body’s overall health. The benefits of chiropractic care are numerous, such as a better range of motion, greater mobility and fighting off the degeneration that so many people have come to expect in their older years. We see our patients appreciate many advantages from care, enjoying a higher overall quality of life. New research shows that chiropractic even improves brain function! Dr. Wild utilizes the Pinnacle Prone Technique. It’s low-force and doesn’t involve any uncomfortable twisting or cracking. All ages easily tolerate this method, and it gets incredible results. We use a specialized table that allows for an easy adjustment. Dr. Wild also uses Diversified and the Activator, a small hand-held instrument. When appropriate, Dr. Wild will include a therapy modality to your treatment plan. If you’re stiff, we may use intersegmental traction, which is the equivalent of exercising your spine for 30-45 minutes but completed in a shorter time frame. Acute low back pain responds well to electric muscle stimulation, relaxing your muscles and allowing for an easier adjustment. Interferential assists in fighting off pain and inflammation, getting you quick relief. We use acupuncture, electronic or traditional, on the majority of our patients. Stop by for a convenient walk-in appointment, or contact us today to book your time. Insurance can be used at our office, including Medicare and Medicaid.